What did you to celebrate Easter? What’s one of your favorite Easter traditions or activities? This Easter, Mike walked through the story of Lazarus as a picture of the hope that Easter brings us. 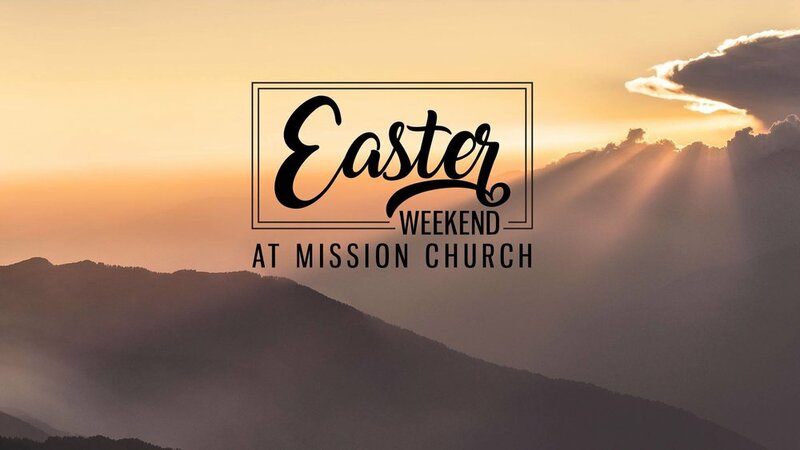 Even though God doesn’t show up on our timelines, the Easter story shows us that nothing is impossible with Him, the smell of death doesn’t bother Him, and freedom begins when we start walking toward Him - no matter where we are at on the journey. Growing up, what kind of holiday was Easter for your family? Was it more bunny or more Jesus? Mike said that doubt can be the catalyst of faith in our lives when we investigate our doubts about Jesus with an open mind. Do you tend to have trouble accepting your doubts and bravely investigating them, or do you tend to hold onto your doubts and refuse to investigate them openly? How can you go investigate your doubts? What do you need to understand, know, or learn that would allow God to possibly use your doubt as a catalyst of faith? So although Jesus loved Martha, Mary, and Lazarus, he stayed where he was for the next two days. Jesus’ dear friend is on his deathbed, and he decides to wait instead of going to him right away. When in your life have you felt like God was waiting when you needed him? Did he show up eventually in the way you expected, or some other way? Or are you still waiting? Mike said that Jesus’ question of “Do you believe this” to Martha still applies to us today. What has your journey been like regarding this question? Where are you at on this journey right now? Jesus was still angry as he arrived at the tomb, a cave with a stone rolled across its entrance. “Roll the stone aside,” Jesus told them. Jesus tells Martha to roll the stone aside, but Martha protests. Sometimes the greatest miracles happen after we’ve said yes to God and we’re on the path of obedience. Is there a step of obedience, a next right thing you know you ought to do, that you have been avoiding or trying to find a way around? Have you ever seen a miracle happen after you’ve said yes to God, even though you didn't’ want to? Mike said that too often, we white knuckle life with God; we try to earn his love or be good enough to keep him pleased with us. How is this different from living like we’ve been brought from death to life? How can you personally make that shift? Freedom begins with walking toward Jesus. Wherever you are on the faith journey, what’s your next step toward Jesus? Where do you need a new level of freedom? What’s an obstacle standing in the way of making that a reality this week? Where can our group help you? You can use this prayer as a launching point for your own personal time connecting with God. Jesus, you willingly took on the burden of my sin, the punishment that I deserved, so that I could walk out of the grave with you in new life. But even still, I live with so many dead places inside of me. Let your life permeate every part of me. Teach me what it means to be alive, and no longer the person that I was. Try making a list of some of the things that can feel “dead” inside of you. Whether it’s a habit you can’t kick, a memory or past relationship that still has a hold over you, or an area of your mind/heart that feels untouched by God. Write it down, fold it up, then burn it! While you do that, pray that God would show you how to tangibly move from death to life in those areas and give you the courage to do so.